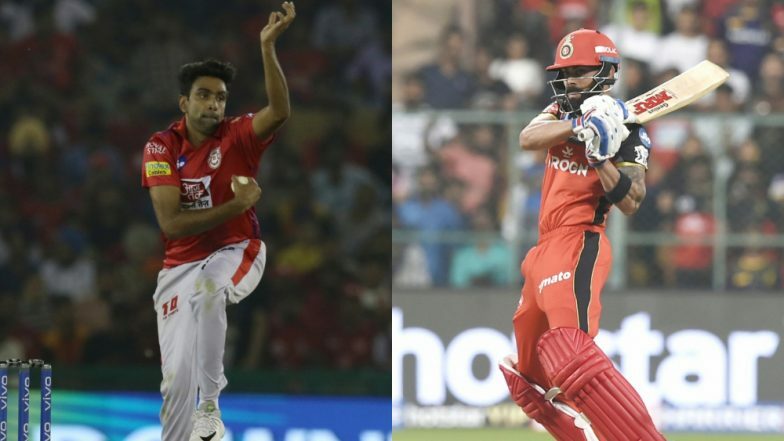 KXIP vs RCB, Head-to-Head Record: Ahead of IPL 2019 Clash, Here Are Match Results of Last 5 Kings XI Punjab vs Royal Challengers Bangalore Encounters! Royal Challengers Bangalore have had a few days off in the league which was much needed after six straight defeats for Virat Kohli’s side. The performances dished out by RCB have been so disappointing that the fans seem to have lost all hope. Another defeat in the 2019 IPL and Bangalore will officially become the worst team ever to be part of the cash-rich league. With Punjab in red hot form, Virat Kohli will not find it easy to get his first win of the season. In terms of head to head record, the two sides have played 22 game with Punjab leading the race by 12 wins to Bangalore’s 10. A look back at their last five encounters. Kings XI Punjab vs Royal Challengers Bangalore Live Cricket Score. A shameful defeat for the Kings XI Punjab who were bundled out for a paltry 88 batting first. Umesh Yadav was the pick of the bowlers for Bangalore snapping three wickets while others too chipped in with a few dismissals in addition to three run outs. RCB reached home without breaking a sweat and won the game by ten wickets. IPL 2019 Points Table Updated: DC Breaks Into Top Four on the Indian Premier League 12 Team Standings Following Win Over KKR. Another disappointing batting performance forms the Kings XI Punjab as everyone apart from K L Rahul just threw away their wicket. Chasing 156 for victory, RCB lost four wickets under 100 but AB De Villiers hit a half-century to script a four-wicket victory. The Bangalore batsmen choked in their chase of a low score of 139 on a track well suited for batting. After restricting Punjab to 138/7 it should have been an easy win victory for the home team but what followed was complete chaos. Seven RCB players got out in single figures eventually losing the game by 19 runs. Sandeep Sharma was adjudged the man of the match for his three-wicket haul. RCB vs KXIP, IPL 2019 Match 28 Preview: Royal Challengers Bangalore Take On Kings XI Punjab in Must Win Encounter. RCB had to pay for the slow start given by the top order players as, despite AB De Villiers’ 46-ball 89, they could only manage 148/4. At one stage Bangalore were 68/4 at the end of 13.1 overs hence Mr 360 has to be credited for the turnaround. Glen Maxwell and Hashim Amla led the Punjab chase with 58 and 43 not out respectively to win the game under 15 overs. The RCB fans were treated to batting exhibition by Chris Gayle and Virat Kohli as they put on a 147 runs opening stand. Kohli hit a century as the hosts finished for 211/3 in 15 overs in a game curtailed by the heavy downpour. Punjab were out of the game by the end of the first innings itself and all they could put on board were 120 runs. Based on the current form, Punjab are the favorites to win the game but Virat Kohli’s side have shown in the past they can put up a fight.